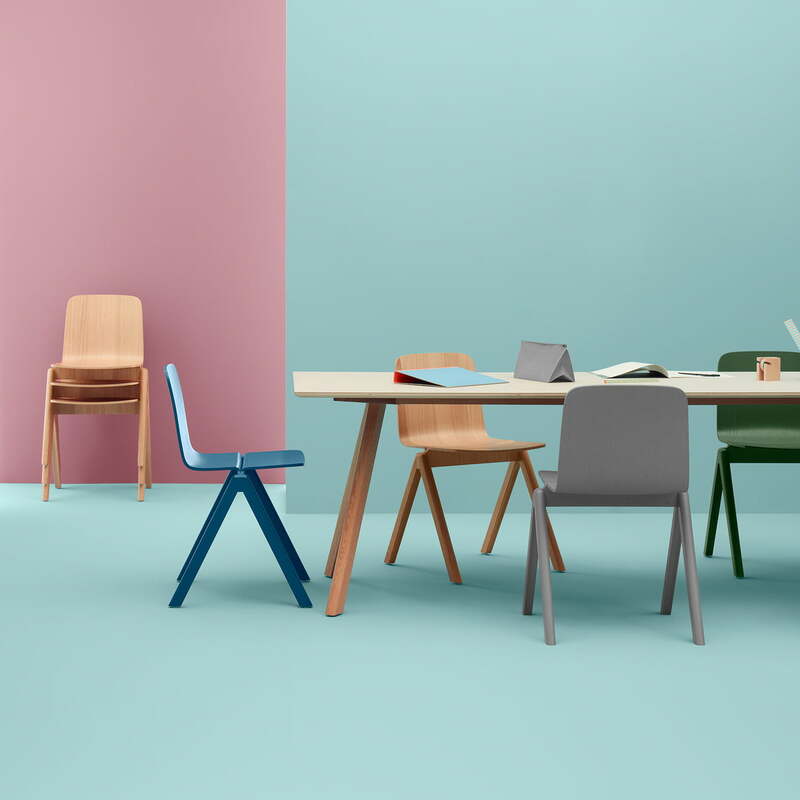 The Danish manufacturer Hay invited the design brothers Ronan and Erwan Bouroullec to develop a collection for the re-designed University of Copenhagen (KUA). 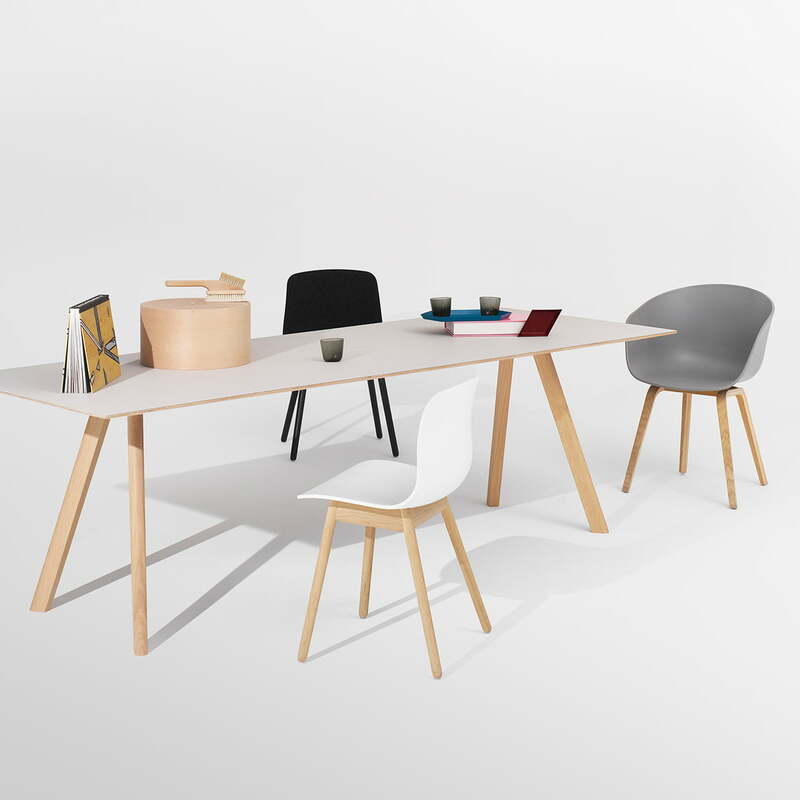 The result was the Copenhague collection, which includes one chair, one barstool and diverse tables. 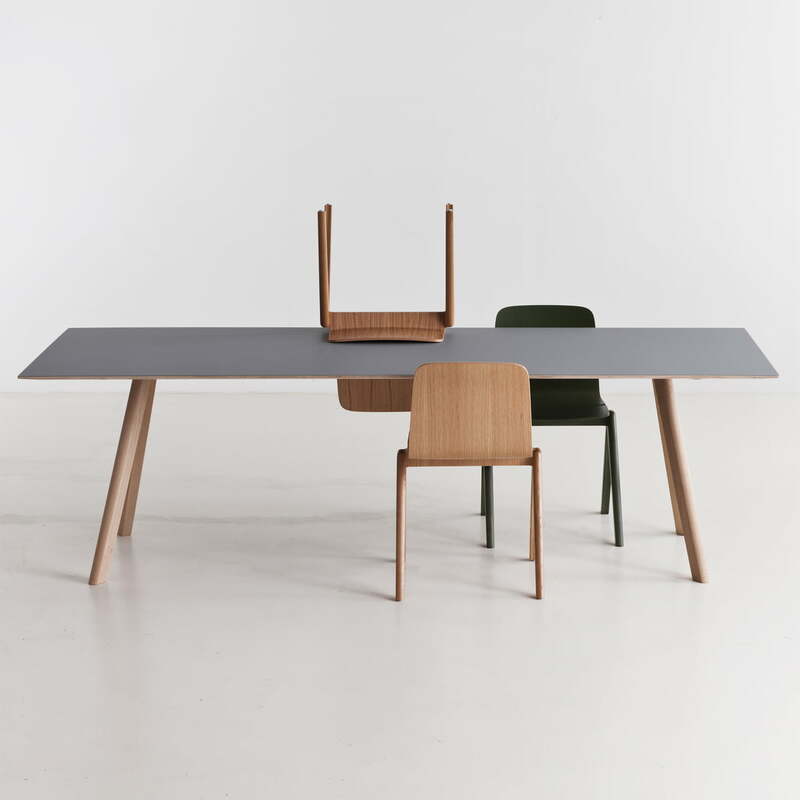 Hay and the Bouroullecs tried to design furniture for an educational institution, which clearly belonged into our time with their form and identity, suiting the demands of a University. 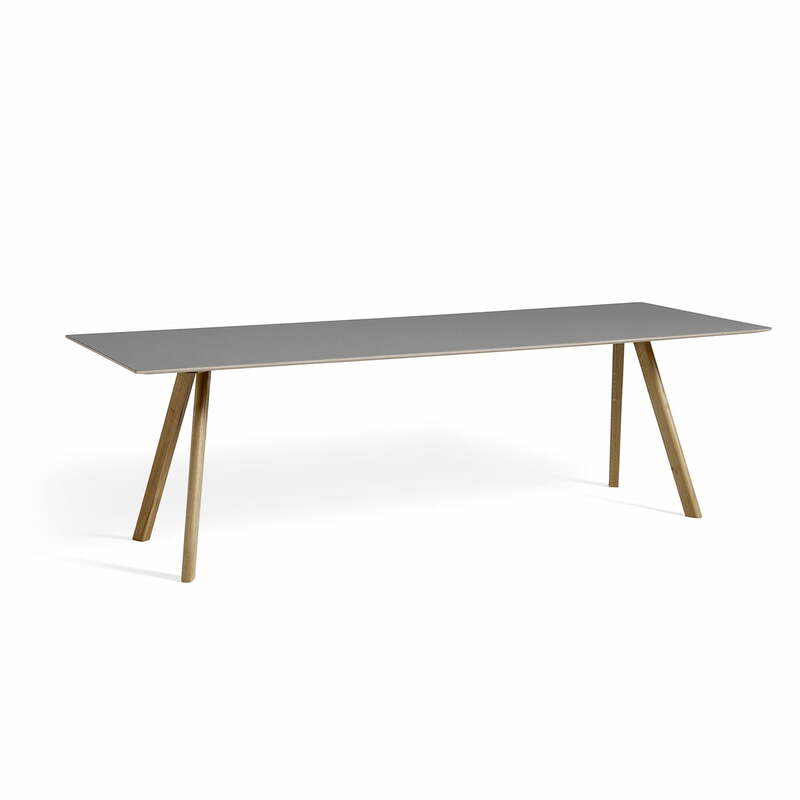 That’s the reason why the Copenhague CPH 30 dining table is very functional, without losing becoming serious in their expression. 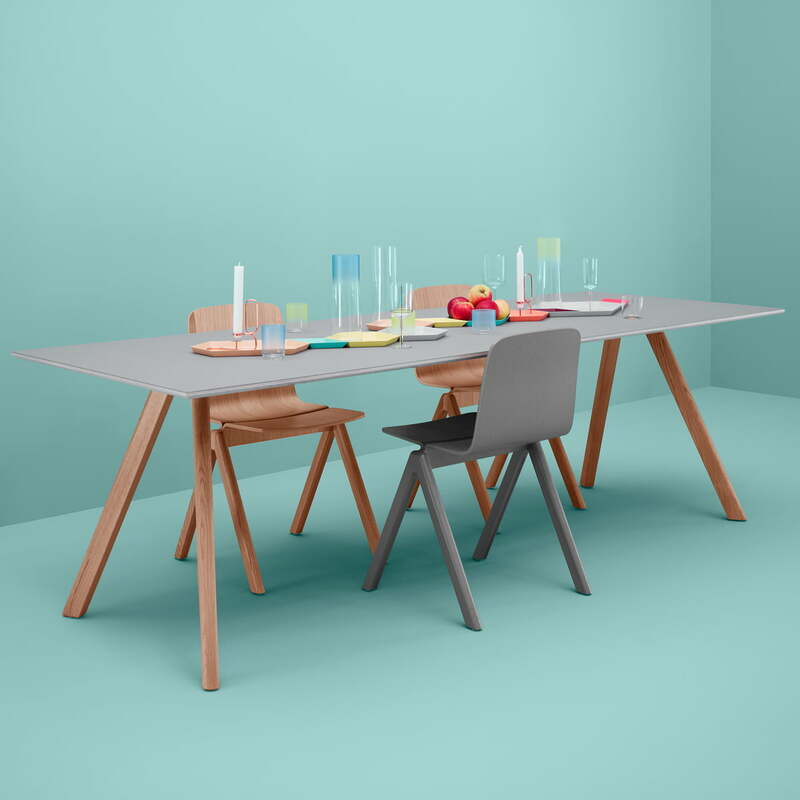 It was an aim of the designers to free their Copenhague dining table CPH30 from institutional and bureaucratic expressions of traditional furniture in educational institutions. 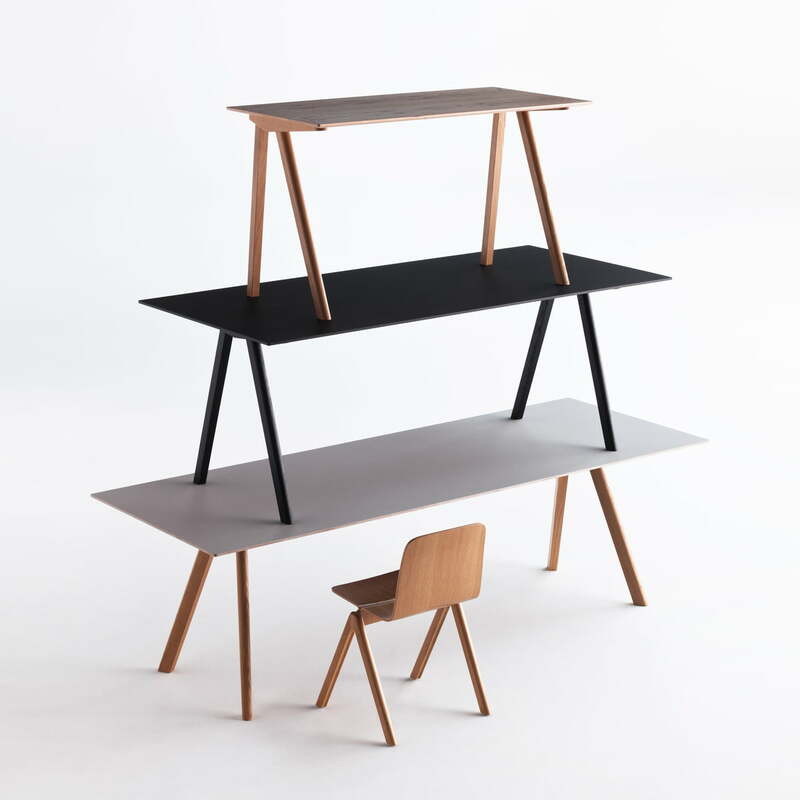 They wanted to design objects with bigger originality and a homely appeal. 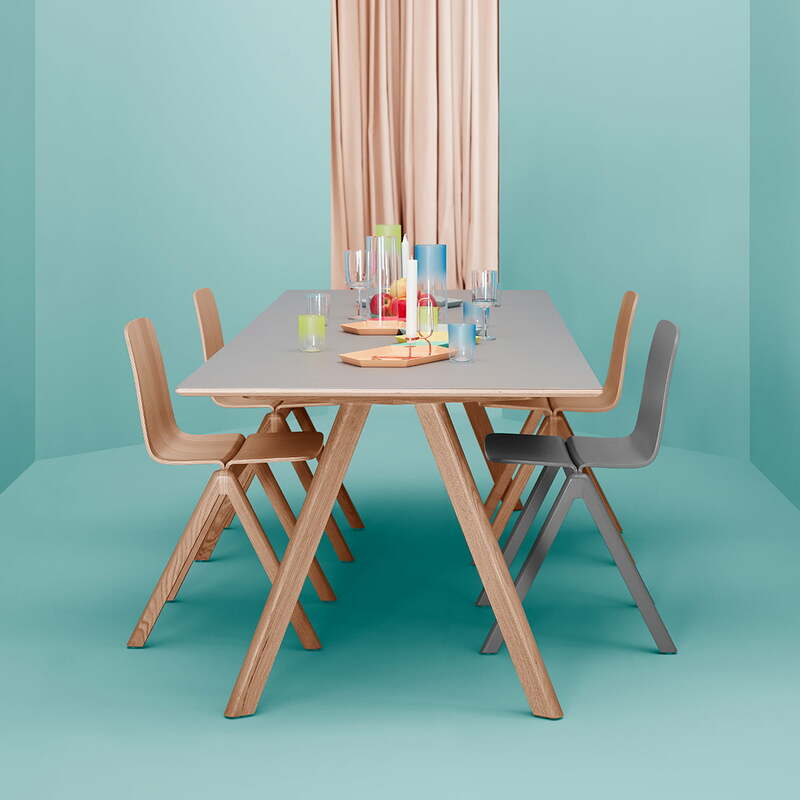 Hay produces the Copenhague dining table out of oak wood; further editions are also available on demand. Isolated product image of the Hay - Copenhague CPH30 Table 200 x 90 cm by Ronan & Erwan Bouroullec for Hay with a matt lacquered oak frame and a black linoleum table top. 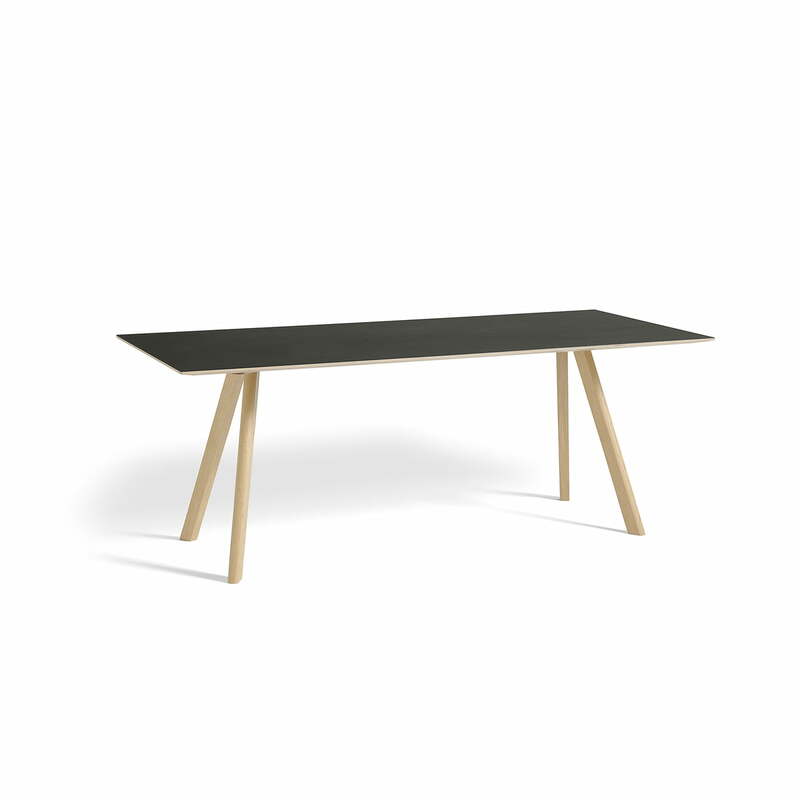 Isolated product image of the Hay - Copenhague CPH30 Table 250 x 90 cm by Ronan & Erwan Bouroullec for Hay with a soaped oak frame and a grey linoleum table top (Ash 4132).